Master Hriday Maniar of Std. 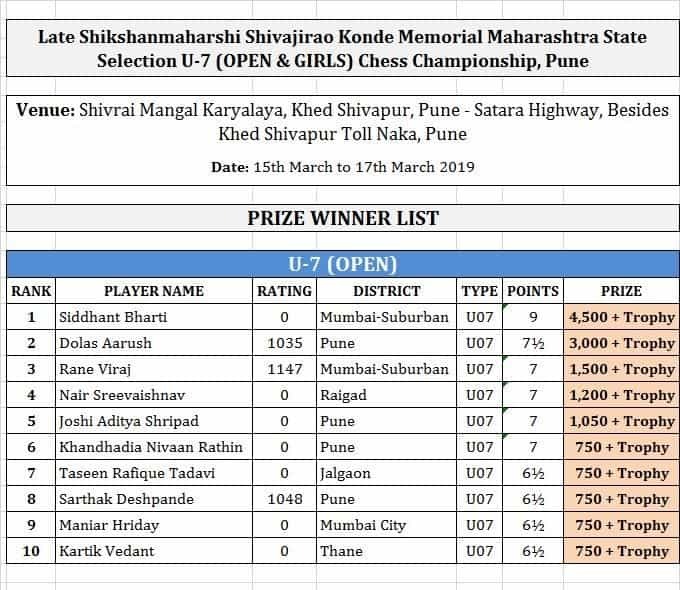 I B participated at the Maharashtra U/7 Chess Tournament held from 15th to 17th March, 2019 at Khed-Shivapur, Pune. 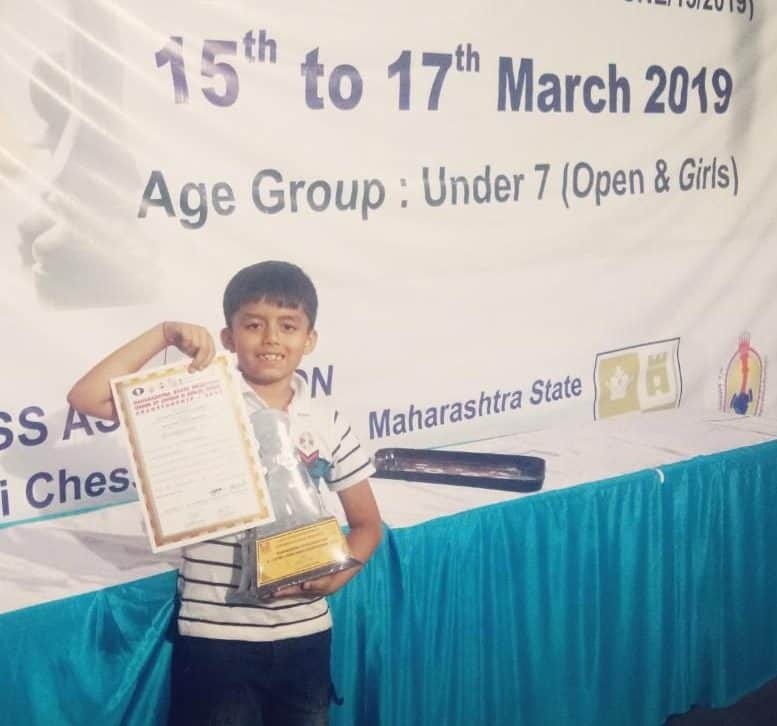 Out of 101 best Maharashtra District players, Hriday competed and grabbed for himself 9th position with a prestigious trophy and cash reward of Rs. 750. His score was 6.5 out of 9. We are proud of his achievement and wish him good-luck for his future endeavours.